Nearly 100 elephants are killed every day on the African continent. This fact didn't sit well with Charlotte Mary Pack, a ceramicist whose work primarily focuses on the natural world and the often regrettable human impact upon it. 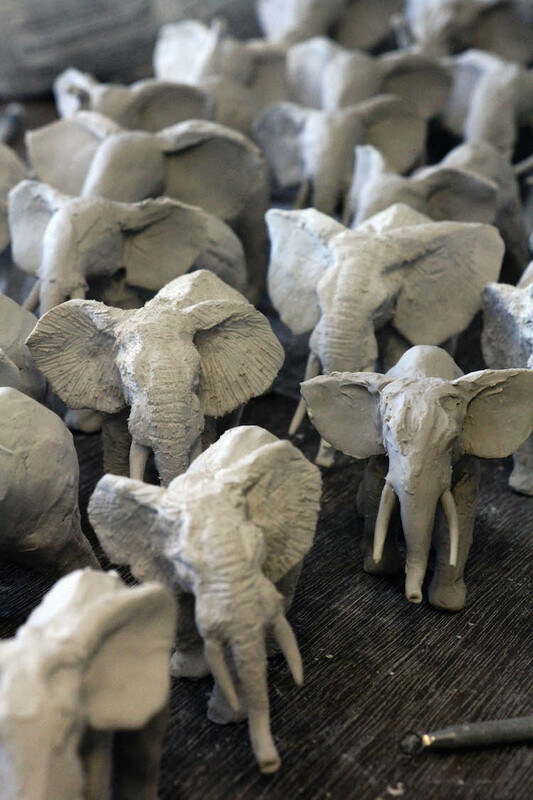 So she gave herself a unique challenge: sculpt 100 elephants in 24 hours, all while livestreaming her attempt to the world VIA Facebook Live. Well, the results are in and they are nothing short of beautiful. 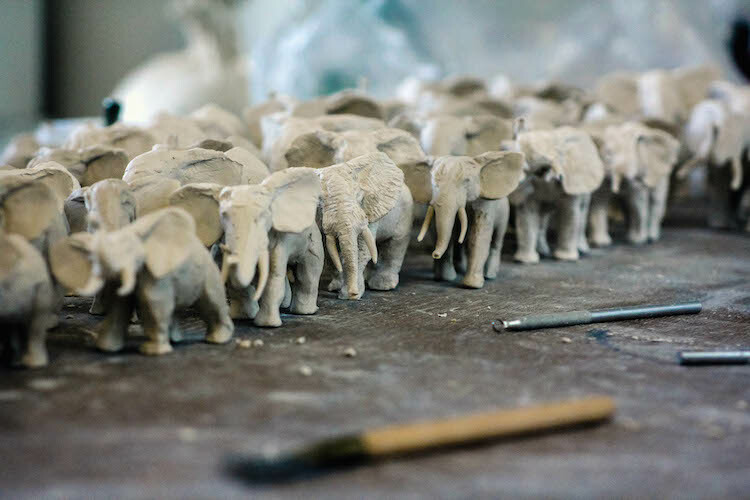 "I chose to base this project on elephant poaching because the figures are so alarmingly high—currently there are more elephants being killed than there are being born… for the sake of a carved ornament!?" Pack said in an interview with MyModernMet. "If we can’t save our largest land mammal from extinction what hope is there for our other endangered species!? As well as raising awareness I would also like to challenge the public’s opinion on ivory, I hope in the future some people will no longer want to buy or sell ivory." Now that the task is completed, all 100 elephants will be on display at Saatchi Gallery in London from February 28 to March 3 of 2019.